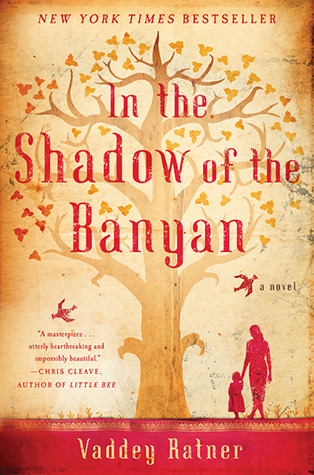 Summary: In the Shadow of the Banyan is a heartbreaking book that takes place during the Khmer Rouge regime in Cambodia. Based on the author’s own experiences, the book follows five-year-old Raami and her family as they are forced to leave Phnom Penh, the capital, and move into the countryside. Along the way, Raami loses most of her relatives and must constantly face the harsh reality of living in a socialist regime. Even through the pain that she faces every day, Raami still manages to find hope in little things around her, never entirely giving up on her chance for survival. A story filled with tragedy and hardship, it demonstrates why hope is present even in the darkest of times. The author manages to convey her message using language so beautiful that I found myself rereading parts of it over and over again. Both devastating and uplifting, In the Shadow of the Banyan is one of the most touching books that I have read in a long time, and I will not forget it in a hurry. Why I picked it up: I was at Leigh’s Favorite Books in Sunnyvale looking for a good read. It was propped up on a table in the middle of the store. It had a beautiful cover, and interesting title, and it was 20% off. Then I read the book summary on the inside of the book jacket and I knew I had to buy it. Why I kept reading it: Even though it was slow in several places, I kept going because I had to find out how the story ended. The author has a gift for descriptive language- something I eat up. If not the most action-driven book, it is a beautiful story that moves at a gentle pace. The characters themselves are endearing and have great depth. Plus I have a tendency to start reading a book and not be able to put it down until I’m finished, so that probably helped too. Who would I give it to next: My mom. She has a great appreciation for historical literature, and I love to be able to share my books with her. It’s always nice to have someone to discuss a book with, and since my mom has an English major, it’s always especially enlightening to hear what she thought of a book that I enjoyed.